When you look for advice, it is often a wise choice to go to the professionals in the field. 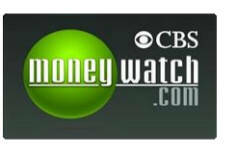 CBS and their website MoneyWatch.com is one such source. Here are some excerpts from an article on their site about Laundromat insurance written for the attention of insurance agent. find that Laundromats today can offer a lot more than washers and dryers. Some have amenities such as television sets, snack bars and tanning beds. An Indianapolis, Indiana, Laundromat which has all of the above is also the largest seller of instant ticket lottery tickets in the state. Whether Laundromats offer exotic extras or just the basics, they can be a viable business target for independent agents. "It tends to be a very localized business," says Brian Wells, director of communications for the [Coin Laundry] association. "There aren't many organizations that would be considered a franchise on a national level that have had any success. More often, now you have individuals who are multi-store owners. "It's an industry that continues to grow. New store construction remains at a low and gradual growth rate." IMR pegs the most recent annual growth rate in number of Laundromats at 4.8% and the premium growth at 9.6%. When they do get these submissions, Ferris says, "In addition to the basic underwriting items such as age of building and condition of the property, I look to see if they have an attendant on duty and if so how many hours a day. Also, has the wiring been updated to hold the type of electrical service it would need for the number of washers it has? "If we're providing contents coverage," he adds, "the age of equipment is important. If it's 15-year old equipment it could be subject to wearing out and breaking down and then you've got to worry about electrical shorts." "It tends to be a very localized business," says Brian Wells, director of communications for the [Coin Laundry] association. "There aren't many organizations that would be considered a franchise on a national level that have had any success. More often, now you have individuals who are multi-store owners. Among the property coverages provided to Laundromats by leading specialty market carriers are building, contents and business income under basic, broad or special forms; customer bailee coverage; crime--theft, disappearance and destruction and premises burglary; and sign coverage. One general agency which aggressively markets to Laundromats in California is Unifax Insurance Systems, which has a program it uses for both dry-cleaners and coin laundries. Unifax places the business with Crusader Insurance Company, an affiliated company. It will write 24-hour operations, attended or unattended, as well as new businesses, those with no prior insurance experience, and those in older buildings. The Unifax program provides liability limits up to $1 million per occurrence with [$2 million] annual aggregate and property coverage up to $1.5 million. It also offers water legal liability, extra expense, customer goods, loss of earnings and accounts receivable. Another important feature about Unifax's coverage for Laundromats, is "that we have no geographic restrictions on where we write," says Susanne Waite, marketing supervisor "This is important to urban operators."